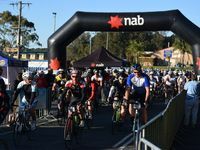 THE roads south of Coffs Harbour have been dominated by bicycles this morning as about 800 riders took to the road for the NAB Coffs Coast Cycle Challenge. 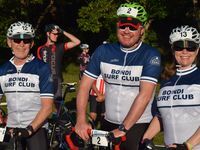 This morning marked the seventh year the Rotary Club of Coffs Harbour City event has once again attracted riders from far and wide. And the cycling gods provided perfect conditions for them. 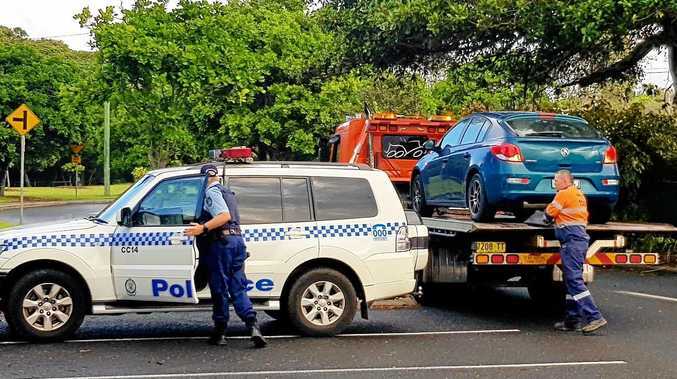 The morning started with almost 200 riders in the 100km event which took the group south through Sawtell and then along Pine Creek Way and the new Giinagay Way, which was the Pacific Hwy until recently when the Nambucca Heads to Urunga upgrade was opened. 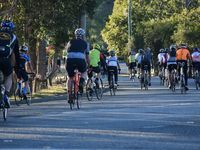 Those on the long ride rode down to Boggy Creek and back to Geoff King Motors Park and the new route was greatly anticipated by the large number of enthusiastic cyclists. 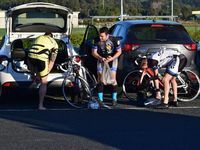 "The first major event on the new Giinagay Way and so we're delighted the RMS was able to have it finished in time for us and the riders are just as excited about that," event manager Judy Smith said.